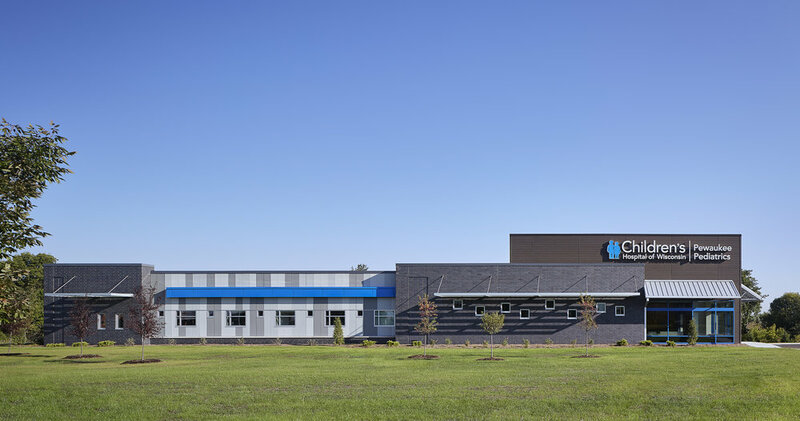 This 11,600 square foot clinic was designed with patient and staff flow in mind. 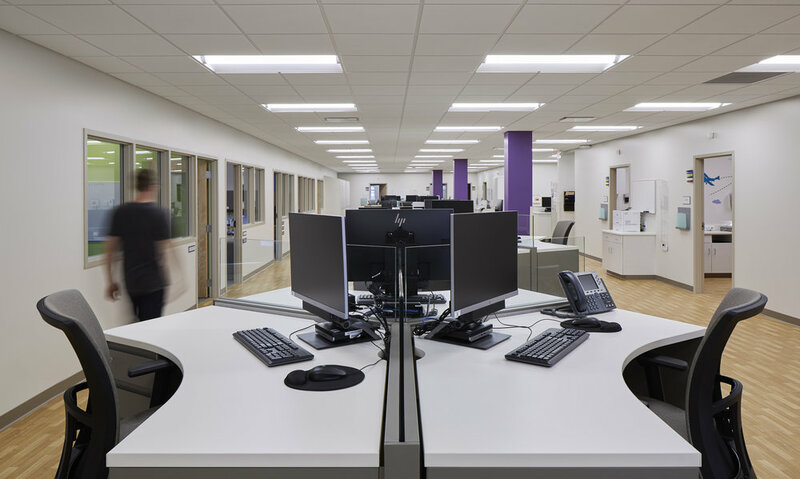 It features 15 double sided exam rooms surrounding a collaborative team space allows staff to be closer to the patient increasing face time. This new layout has a projected 33% reduction in steps for doctors and 70% reduction in steps for nursing staff once self-rooming is implemented. 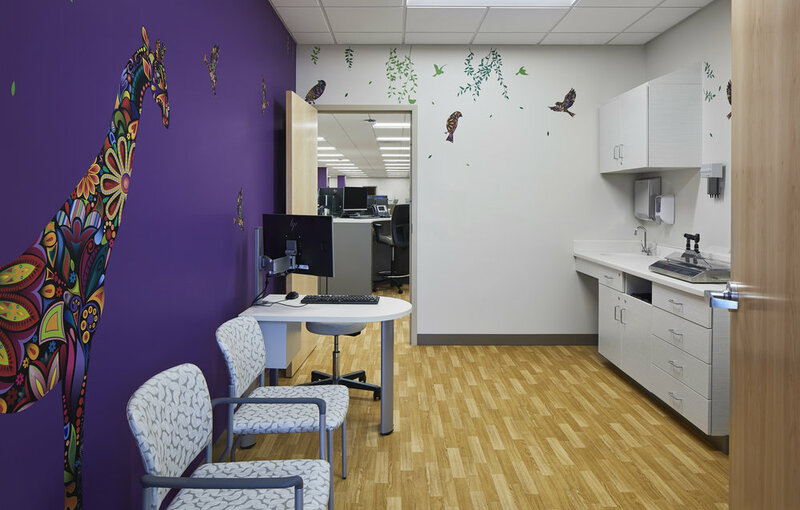 The clinic was also designed to allow for self-rooming in the future by incorporating interior design practices to help navigate families to the correct exam room.